2019 Vendor applications now open! Q. What is the Avocado Festival? A. The California Avocado Festival is Carpinteria’s largest family friendly community celebration and one of the largest free festivals in the country. It’s expected to attract more than 100,00 people this year. This year the event will take place October 5th-7th on Linden Ave. from Carpinteria Ave. to 6th Street. With strong emphasis on maintaining a “Carp first” event, our success stems from the idea of celebrating everything that makes Carpinteria special: Delicious avocado inspired food, a wide variety of music, being a platform for local nonprofits and service organization to raise funds for their worthy causes, and most importantly, our dedication to raising scholarship funds for local youth in the areas of music, culinary arts, fine arts, and agriculture. In addition, not only is it a large festival, but it is also a “green” festival. We have really worked diligently to reduce the carbon footprint in leading a “Zero Waste” festival. We divert virtually 100% of the waste to either recycling or composting instead of the landfill. Q. Who runs the CA Avocado Festival (AvoFest)? A. There are seven volunteer Board of Directors, hundreds of volunteers and one paid administrator. The 2018 Board members are: Gary Dobbins, our President for the last 5 years, Gregg Carty, Mike Lazaro, Emily Miles, Anthony Staal, and Richard Tinkstrom. Our Volunteer committee chairs are an essential part of the festival. We could not make it happen without them. We want to make sure they know how much they are loved and how grateful we are to have them! Geri Carty, Marybeth Carty, Annette Fisher, Robert Godfrey, Shiela Hess, Kim Homan, Carie Smith, Stephanie Medel, John Nicoli, Steve Sullivan, and Tracy Wilkie. Q. How does the Chamber of Commerce come into play? A. The Chamber is a supporter of Avofest, and we appreciate their efforts. We have historically paid them for their services in recruiting volunteers for the beer booths. This year, we have opened up the “Beer Booth Volunteer Recruitment Team” for bidding from all local non-profit, service organizations and businesses. Q. Does the City of Carpinteria do any of the planning? A. The City is a huge supporter of the festival; they are a vital partner in public safety. We have multiple meetings with fi re, police, public works, and city planners to ensure we are in compliance and all Carpinterians and festival-goers are safe. Q. How much does it cost to run the festival? Q. Where does that money come from? A. Roughly speaking; 26% comes from booth fees, 24% from beer sales, 20% from merchandise sales, 19% from sponsorships and 6% from ice cream sales. Q. The AvoFest is a big festival – where does all the money go? A. Administrator and operating costs throughout the year. Festival expenses, such as insurance, security, waste removal, tent rentals, stages, lights…etc. The remainder of the funds that are raised goes back into our local community in multiple ways. • Donations - Last year donations were given to: Bands Forever, Warrior Football, Carpinteria Future Farmer’s of America, and DAWG to name a few. • AvoFest is a Carp-Strong event and focused on helping our local Carpinteria companies/ non-profits especially after losing business during the Thomas Fire/Debris Flow. • We strive to give discounted or even free booth spaces to local non-profits and service organizations to raise funds in their own way. This is directly related to the amount of sponsorship money we receive. If we receive plenty of sponsorships to cover our costs, than it is easier to do. Q. How can people get on the list for a grant/donation? A. Fill out an application on our website and/or feel free to write us a letter about your non-profit, what your mission statement is and what the funds will be used for. of Carpinteria for 3 days? A. Yes, and we want to send a HUGE THANK YOU to the community members for letting us use the beautiful backdrop to host the event. Although the festival certainly brings in a large crowd, the fundraising money and economy boost outweighs the little extra burden for three days. All of the hotels fi ll to capacity and the vast majority of businesses see a significant increase in sales. All of this brings TOT taxes and sales taxes that help fund our City. We look at the festival as a wonderful celebration of our city, our non-profit, and of course the avocado.Along with the scholarships, donations and a platform for the local non-profits to make money, we’ve done numerous studies over the years, and during the festival weekend our local businesses’ sales rise by 30-40%. The hotels and the campground are booked solid, and having the festival here does open the window for tourism throughout the year. 30 Years of Peace, Love & Guacamole! 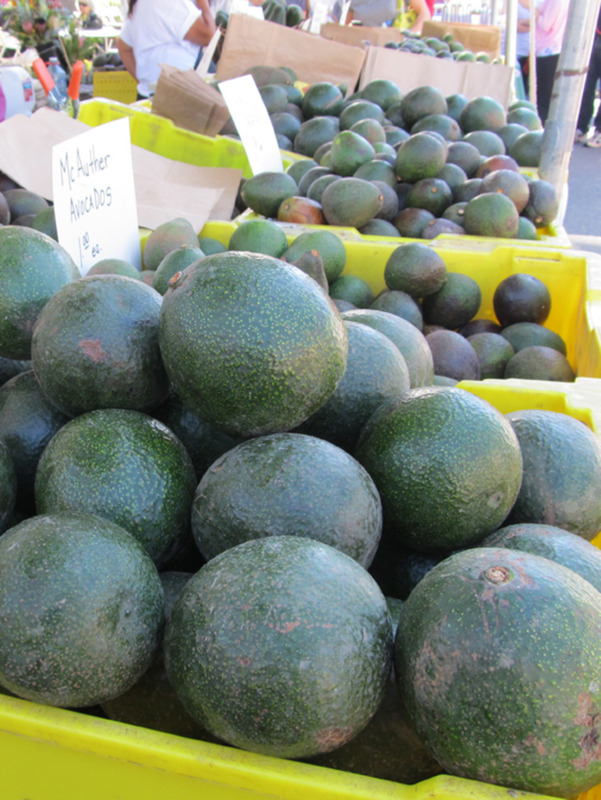 At the Main Entrance of the Festival (Carpinteria Ave and Linden Ave) you will find the Avocado EXPO Tent! The AvoEXPO TENT is home to Avocado agricultural photos, historical photos, lessons in avocado grafting, FFA restored antique tractors, and the Largest Avocado Contest. The Avocado Festival is home to the WORLD’S LARGEST Vat of Guacamole! Our FOOD VENUE, that has plenty of creative avocado dishes, can be found on the 800 block of Linden, so come hungry!! Venture a bit deeper and to find the COMMERCIAL MARKETPLACE on both the 900 and 700 blocks of Linden, and FESTIVAL MERCHANDISE on the corner of Linden and 8th Street. You and your family can also head to 7th Street to visit our KIDS VENUE, home of the Best Dressed Avocado Contest! There will be lots of fun games, face painting, and activities for all to enjoy! Our ARTS & CRAFTS VENUE on Linden’s 600 block is open for your enjoyment during Saturday and Sunday of the festival! All crafts are handmade by the artist(s) themselves. We are one of the largest FREE festivals in California with over 75 MUSIC ACTS on FOUR stages. We will not disappoint this year!! Check out our “Entertainment” tab for more info and line-up updates! You can also find them on our Facebook Page in early September. 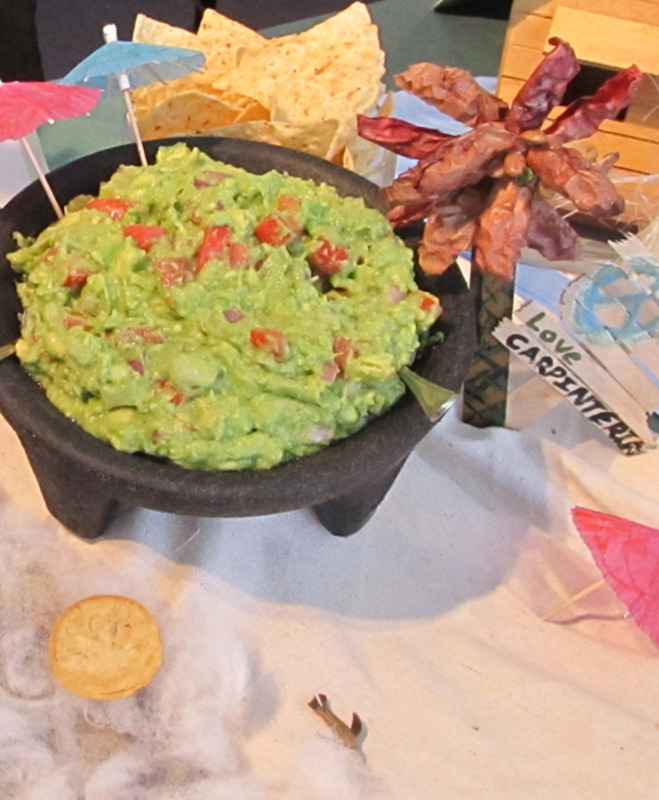 Don’t miss the World Famous Guacamole contest and Avocado Auction, Sunday at the Guac and Grotto Stage on 8th Street!